At Mars Petcare, we talk a lot about how to make life better for pets and people. 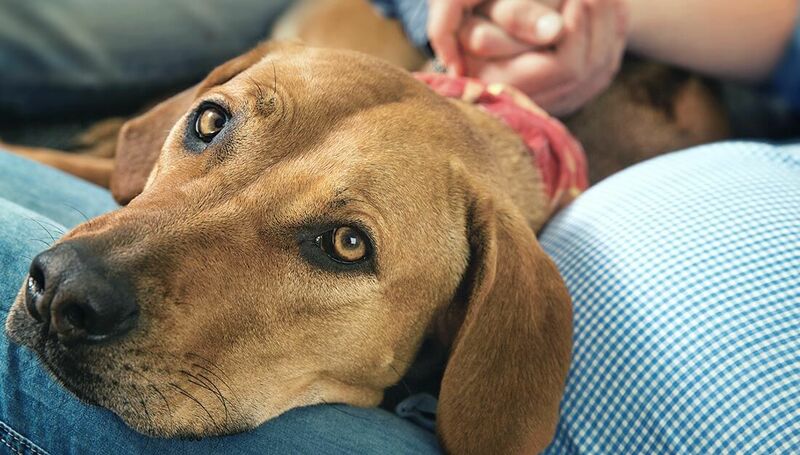 Whether they’re your companion, exercise buddy or stress reliever, a pet can make life so much better. That’s why our BETTER CITIES FOR PETS™ program is working to end pet homelessness and get pets welcomed in more places. But for some people, pets play an even more important role – in fact, they’re not “pets” at all. They are a critical, working companion who enables and protects their human. I’m talking about service dogs and other assistance animals, and the amazing difference they make for millions of people. Service, Therapy, Assistance Dogs – Oh My! In my role, I’ve had the opportunity to work with many national and local nonprofit animal organizations. 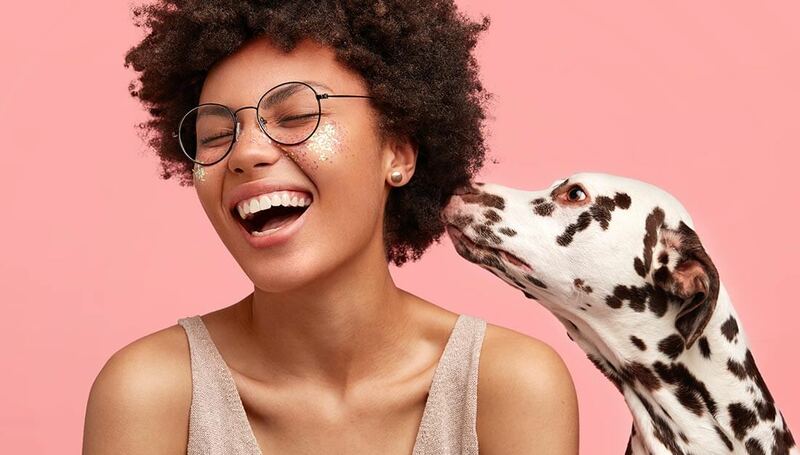 In fact, I recently joined the board of Pet Partners, a wonderful organization that connects people with the healing power of animals. In our office, we also have multiple puppy trainers for Canine Companions for Independence, which provides assistance dogs to people who need them. The answer is: No, and each has a very different role. It’s important to know the difference, because some come with legally protected rights and some don’t. 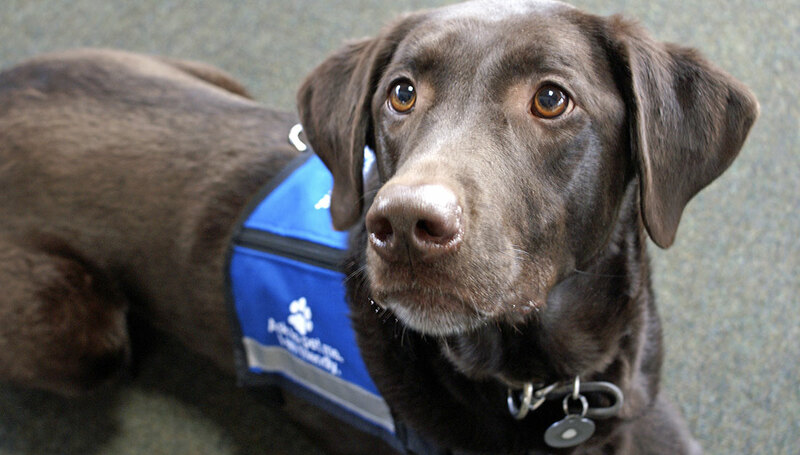 Service dogs are trained to perform tasks for people with disabilities. An example might be a guide dog for someone who is blind or a service dog that helps a person with Post Traumatic Stress navigate the stress of crowded places. Service dogs can complete many different tasks, from retrieving dropped items, to opening doors, to guiding their humans away from hazards, to offering seizure or diabetic alert or response. The Americans with Disabilities Act requires that service dogs be allowed to go with their human almost anywhere, including restaurants, businesses and on airplanes. They also must be admitted in housing, even if it has a “no pets” policy. 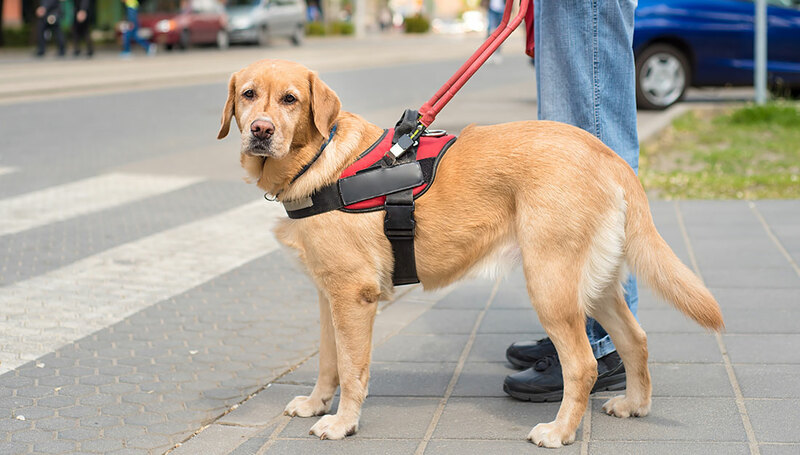 Working with American Humane, Mars Petcare recently put together a toolkit and some videos to help businesses understand how to accommodate people with service dogs. You can check them out here. 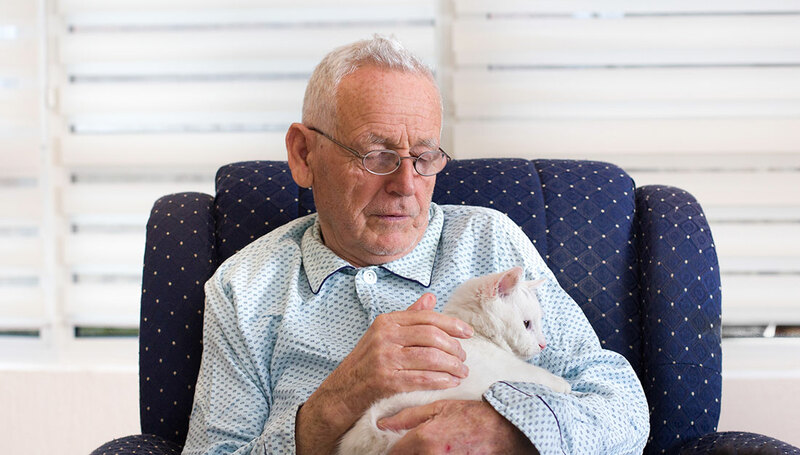 Emotional support animals are pets that are prescribed by a licensed mental health professional to provide support for a person with a mental illness. The Americans with Disabilities Act does not provide the same rights for those with emotional support animals as it does for those with service dogs. Owners require permission to bring emotional support animals into public areas or facilities. However, the U.S.’s Fair Housing Act allows emotional service animals in housing that has a “no pets” policy, and many airlines make accommodations if owners meet the airline’s guidelines for documentation. Animal-assisted activities, which are things like hospital visits and stress reduction events at schools or airports. Animal-assisted therapy, which is physical therapy, counseling or other therapy in which an animal plays a part in the therapeutic experience. Animal-assisted education, which is things like reading programs where kids read to dogs. Check out this great Q&A about the impact of animals in schools. I’m excited to report that Mars Petcare is also helping advance research about the impact of therapy dogs. Through a partnership with Monroe Carell Jr. Children’s Hospital at Vanderbilt, we are funding a dedicated facility dog for the hospital. Beyond helping brighten the day of the many kids at Children’s, this effort will work to collect data that demonstrates the health, wellbeing and economic impact a facility dog can bring when applied as a therapeutic tool. See more about this here. 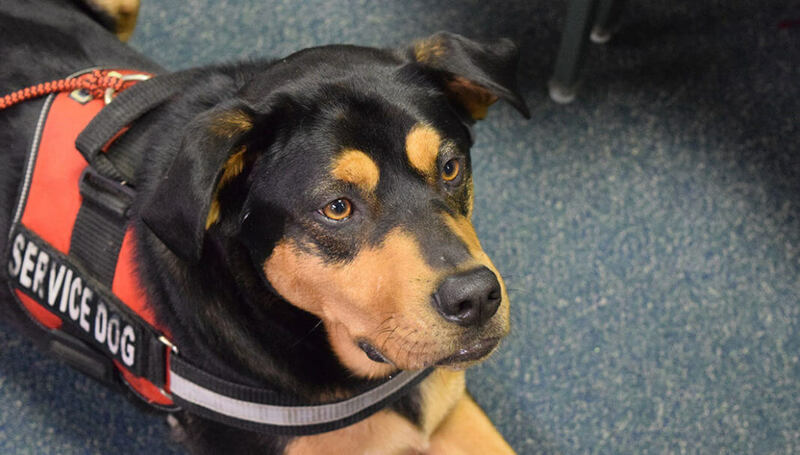 Rocklin, the amazing dog featured in the video above, is both a therapy dog and a facility dog, because he does all his work at the Williamson County, Tennessee courthouse. Facility animals are those that are regularly present at a particular site or facility. For example, a nursing home might have a resident therapy dog who lives there full time under the care of the staff. By the way…a side note on the increasing incidence of people claiming pets are assistance animals. I can really relate to wanting to bring your pet everywhere, and why someone might pretend they have an assistance animal because so many places don’t allow pets. 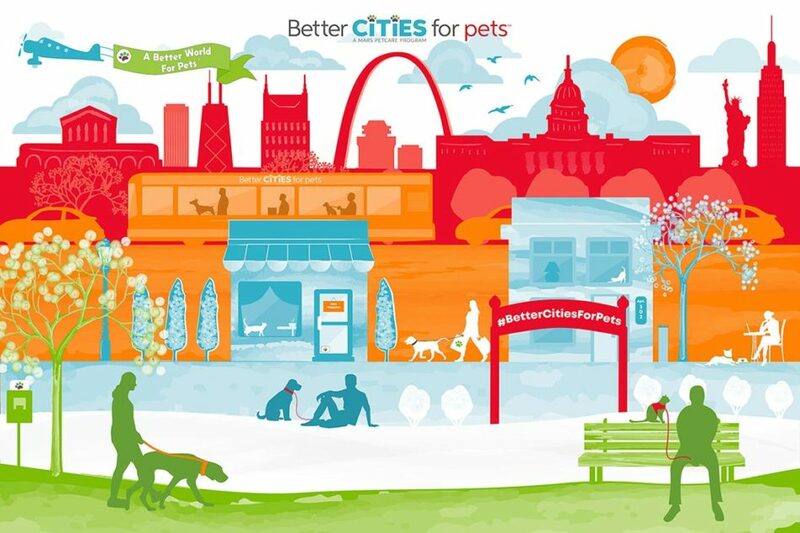 That’s part of what we’re trying to change with our BETTER CITIES FOR PETS™ program! But at the same time, the more false claims there are, the more challenging it is for those who have legitimate, prescribed service dogs. For them, we have to make sure the validity of assistance animals isn’t ever questioned. It puts the wellness of the owners at risk. Now that you know the basics of assistance animals and what they do, it’s important to know how to act around them – especially service dogs. It’s hard to resist saying hello to an adorable dog when you see them out and about. But if you have any indication it might be a working animal like a service dog, it’s important not to interact without permission. The reason is that they are trained to perform an important task. Your interruption could mean they don’t do something they should do, or don’t anticipate a need they’re there to support. You’d feel terrible if their human partner was injured or became ill because the dog was distracted. Don’t ask a person why they need a service dog. These dogs perform tasks related to their human’s disability, which they might not want to discuss. Respect their privacy. Interact with the person, not the dog. Think of the dog as medical equipment for its human – like a wheelchair or a white cane for a blind person. You wouldn’t presume to touch those and the same should be true of their service dog. Never distract a service dog, for example by whistling at it or crowding it. If someone was helping you, you wouldn’t want them to be distracted away from your side. The same is true for a working animal. Ask for permission if you want to touch the animal. With most service dogs, the human must give the dog permission to interact – it is trained to stay on task and not be interrupted. Understand that the owner might not feel it’s a good time to give the dog that permission. If you have a pet with you, don’t let him or her approach a service dog without asking its human first. This, too, can be a distraction. Avoid assumptions. The Americans with Disabilities Act does not require that service dogs wear a vest or other identification. So anytime you meet a person with a dog, it’s possible it’s a service dog. Here again, the best policy is always to interact with the person, not the dog, until the person tells you otherwise. I believe so strongly in the power of the human-animal bond. While assistance animals aren’t pets, they’re an amazing testament to the ways that pets can make us healthier, happier, more active and more independent. That’s yet another reason why it’s so important to make pets and working animals welcome in homes, businesses and public places everywhere. When we can be with the animals who love and help us, everyone gets to live a better life. Learn something you didn’t know? Have a thought to add? We’d love to hear about it. We’re on social media at @MarsPetcareUS.